onathan Roche, founder and CEO of Breakthrough Health & Wellness Solutions, found his life's passion — fitness — in the wake of a personal loss. In 1995, Jonathan Roche's dad died suddenly of cardiac arrest. At the time, Roche was obese — he weighed 224 pounds — and had struggled with his weight his entire adult life. His dad's death was a startling wake-up call, and Roche committed himself to losing his excess weight. Using a heart rate monitor and doing interval workouts to burn calories faster and keep his metabolism elevated after his workouts, he lost 40 pounds. Soon after, Roche ditched his corporate career and became a full time personal trainer, fitness video instructor, and product consultant for large fitness companies. In his free time, he created a simple software program that personalizes a person’s interval workouts based on their health status, goals, and schedule — to give users a leg up in fighting the weight loss battle. The program became the basis for the launch of Breakthrough Health & Wellness Solutions. An award-winning fitness expert, Roche holds two Interval Fitness Training patents for the company’s Interval Workout web-based software, No Excuses Workout System. 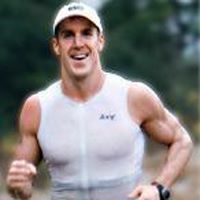 "My mission is to bring the power of interval workouts to busy people to help them get fit and lose weight without turning it into a part-time job!" he says. In addition, Roche is a 12-time Ironman Triathlon finisher and a 16-time Boston Marathon finisher. He ran the 15 of the marathons to raise funds for the Dana-Farber Cancer Institute, and he also donates 5 percent of his company’s profits to Dana Farber. Evolving in the corporate world: We have recently launched our Corporate Wellness Solution for two employer groups and four Blue Cross/Blue Shields, and we are excited about what lies ahead. We have also just finalized a partnership with a best web-based nutritional and will be integrating that into our patented software to further personalize the fitness and weight loss experience for our members. My favorite healthy habit: Focusing on one day at a time — win today and then repeat it again tomorrow — versus getting psyched out by the magnitude of having to lose "X" amount of pounds. My health hero: Jack LaLanne. He led the way in showing people how getting fit could positively transform their health and their lives. My practice for what I preach: I always nail three 30-minute personalized interval workouts per week — and that has helped me keep 40 pounds off for 16 years. I also like doing random acts of fitness such as parking in the furthest spot at the office or store, taking the stairs, or turning household chores into workouts. The steps add up, and staying active is the No. 1 way to improve your energy and attitude! My best health tip: Stop making excuses. Most people say they don’t have time to exercise but they spend time each day online and watching TV. If we are candid with ourselves and whether our excuses are valid, we will see that most are not and free ourselves to take ownership of our weight and health. That is when your rocket can leave the pad! An attitude of gratitude: Focus on how being able to walk is a true gift and you will stop looking at workouts as a chore and start embracing them as an opportunity to use your gift. Personal ownership: When you avoid blaming external factors for your lack of fitness and weight loss results, you free yourself to crush it. An action plan: Winging it, as far as your workouts and nutrition, never works. You need to plan for success and then make it happen. No excuses!